Students at International House have the opportunity to be involved in a rich cultural and events program, both within the House and the wider intercollegiate community. This is not only for the enjoyment of fellow residents, but as a welcome distraction from academic study. Those who are musically inclined, or who enjoy acting, singing or dancing, will have opportunities to display their talents at one of many International House performances. Alternatively, the sound and lighting, set and costume design, photography and publicity associated with these events may provide the perfect opportunity to express your artistic talents! Café International is a cabaret dinner performance for friends and supporters of the House. All residents participate either on-stage or off-stage, and proceeds go towards the International House Student Club and a nominated charity. National Nights are held twice each year in celebration of the diversity amongst the community. Cuisines of different countries are served and art, stories and dance are put on display. At this fun night of musical performance, bands and solo acts take to the stage to show off their talent to the community. The House play, performed over three nights early in semester two, is a lively performance allowing IH residents with a talent for music, acting, sound and lighting and other areas the chance to participate. Actors, musicians, dancers, managers and technicians are required to help the event run smoothly. 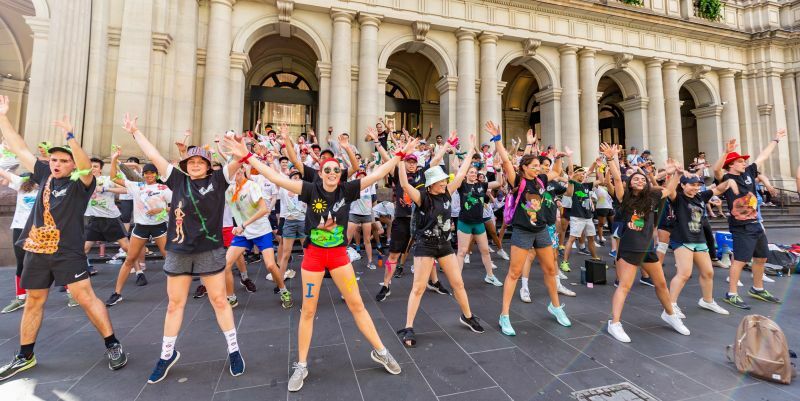 At the beginning of each semester, the Student Club and House Administration conduct a successful Orientation Program to help new students settle in, make new friends and find their way around Melbourne. This action-packed week takes the stress out of moving to a new city and allows students to become familiar with the Melbourne public transport system, their University and International House. This should ensure that by the time lectures start, students will have met the other new students and feel comfortable in their new home. The House Ball, organised by the Students' Club, provides a fun evening of dancing and enjoyment for all members of the House community and our many supporters. Traditionally organised around a theme, past years have seen the more daring members of the House attend in a variety of often outrageous costumes as well as the more usual formal attire. IH Day honours the first day that students entered the college way back in 1957. It is a celebration of the diversity of our community, and a great deal of fun! 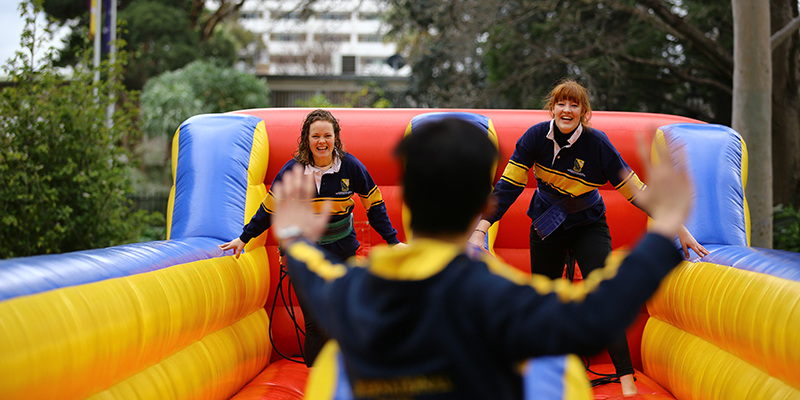 The Students' Club put on food, non-alcoholic beverages and festivities that range from a bucking bull, lazer tag and a jumping castle. The IH Student Club organise many activities during the year which help to build a spirit of friendship and multicultural community, and provide plenty of fun. Examples include traditional activities like movie nights, ski trips, camping and barbecues, as well as events oriented towards inter-cultural learning like the Songkran Water Festival and the Holi festival. In addition to these activities there are student-run clubs for different interest areas including French, rock climbing, yoga, martial arts, baking, table tennis, film, LAN and board games. International House holds special dinners for residents to acknowledge specific occasions in the academic year. All the students get dressed up and wear an academic gown for these semi-formal occasions. Four of the most special academic dinners of the year are the Commencement Dinner, the Scholars' Dinner, the Winter Dinner and the Valedictory Dinner. The Commencement Dinner marks the official commencement of the academic year. The Scholars' Dinner honours those students who have achieved academic excellence in the previous year's examinations, and those who have been awarded a scholarship or bursary. 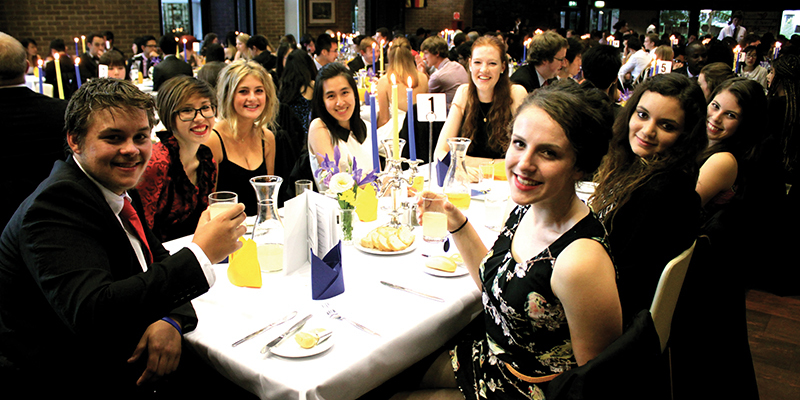 The Winter Dinner celebrates the beginning of semester two, while the Valedictory Dinner is a celebration dinner given to farewell students leaving the House, and to thank them for their contribution to the college community. 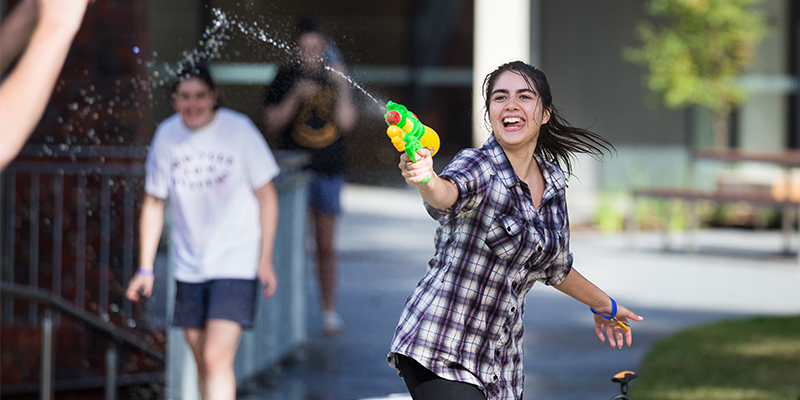 During the year, the Intercollegiate Activities Council (ICAC) organises a comprehensive event calendar for students living at colleges of the University of Melbourne. In the past, International House students have participated in a Battle of the Bands, the Intercollegiate Play, a Fresher Dance-Off, a Quidditch competition, a film festival, trivia, writing and art exhibitions, a pool and darts competition, a debating competition and much more. These activities enable International House students to get to know others within the wider college network, and challenge their abilities at a different level of competition. Click here to watch the exciting IH contribution to a recent Fresher Dance-Off.